A piano is not cheap. If you’re talking about an upright piano, it can cost minimum $4,000 to $10,000, depending on the brand and grade. A grand piano can cost upwards of five figures too. However, many piano students are not taking steps to take care of their piano. If you want your expensive piano to last as long as you want, here are some tips to help you take care of your piano. Your piano should be placed in a suitable place. Most Singaporeans stay in HDB flats, and the living room is the best place for your piano. Alternatively, you can also put your piano in your room. Needless to say, do not put near the kitchen, because of its hot temperature there. I know this can be troublesome sometimes. You plan to ‘return to play the piano’, hence you don’t want to cover it. But sometimes, you forget to return to play! Covering the piano keys prevent dusts from accumulating between the keys. You can also use a drop cloth to cover. Do have a habit to close the cover after your playing, or after your piano lessons. Yes, playing your piano helps to keep your piano in good shape too! There are times where you will be away for a period of time, such as a long holiday. Or you want to take a break after a draining examination or performance. However, you should try to play your piano once a week to keep the internal parts in good working condition. 4. Tune your piano regularly! Regardless you play your piano often or once in a blue moon, you still have to tune your piano regularly. Especially in Singapore, where its temperature and humidity varies, your piano go out of tune every few months. Furthermore, regular piano tuning and maintenance is required to upkeep your expensive piano to ensure it’s in good health for long time. 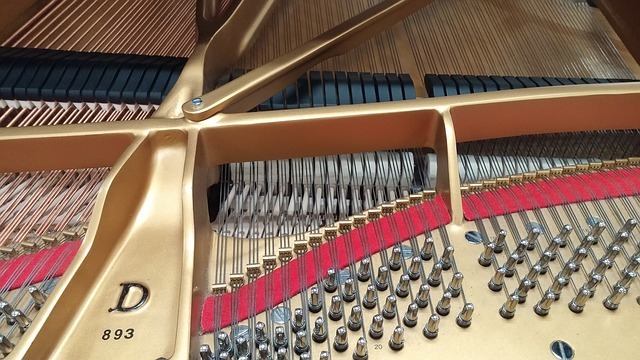 It can be more expensive to fix your piano if certain parts are damaged due to lack of maintenance. So these are the 4 tips to take care of your piano! No more excuse saying you don’t know how to take care anymore!